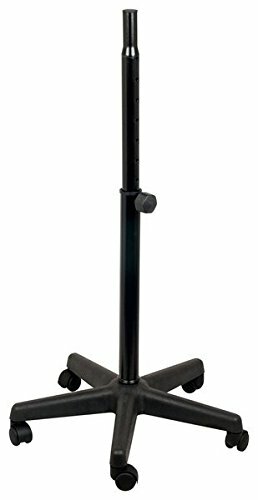 Moving your stand mounted speakers just got easier with the SS-77 mobile wheeled speaker stand. Stand top adjusts from 1-3/8" to 1-1/2" diameter to fit most popular speakers. Mobile speaker stand. Five point wheel stand for easy positioning. Adjustable height from 28.5" to 41.5". Black finish. Shipping Dimensions: 25" (L) x 25" (W) x 6.5" (H). Shipping Weight: 20 lbs. Five point wheel stand for easy positioning Adjustable height from 28; 5" to 41; 5"